SRINAGAR, AUGUST 28: Rubayata Umeed, 14, of north Kashmir’s Kunzar area who has authored a book – ‘Wizards X Beasts’­­ – becomes one of the youngest novelists of Kashmir. 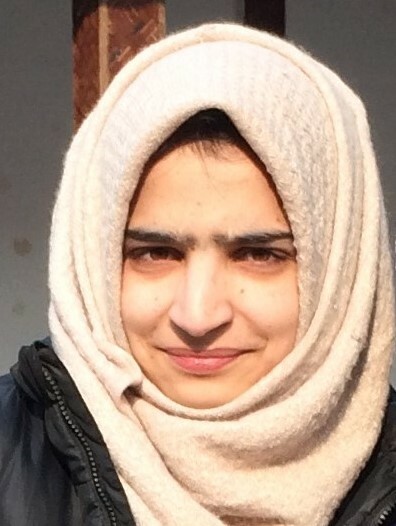 Being an only child of her parents, Rubayata, hailing from Mulgam area of Kunzar, Tangmarg spends most of her time in studying, imagining and writing about her favorite characters. “I have always loved story writing. I love to build characters and develop stories out of them. I get fascinated by the Japanese cartoons. The characters in my novel are also named after the Japanese cartoon characters,” says Umeed. The story of her debut novel revolves around the galaxies of universe; it is entirely based on outer space imaginary characters. “I am more fascinated about galaxies so I decided to write the story about the outer space only. Each day I used to add more chapters to it and narrate the same to my cousins. Their curiosity in knowing the story further kept me going,” adds the young novelist. Soon after her maiden book was published, Umeed began to write another sequel of the novel titled as X- Beasts Trail up galaxy. In this book, she looks forward to create awareness about the various types of pollution and thereof how the earth is suffering a slow death. The major support for writing the book came from her mother, who single-handedly raised her. She not only worked hard for helping Umeed to explore her talent but also kept boosting her about penning down her imagination. Soon after realizing Umeed’s writing potential, Dr Hameeda decided to publish her daughter’s book. It took Hameeda few months to contact the publishers and then begin the process of publication. “She had written all the content on paper. Neither I nor the publisher made any major changes in the book. I thought to keep it the way it was. She has a different style of storytelling so I wanted that to persist. The cover page of the book was also chosen by Umeed herself. After she finished the book I started typing that for her and directly emailed it to a number of publishers,” Hameeda narrates. Hameeda believes in grooming the inner talent of children and letting them have the freedom to express themselves. “Last winter, I made it sure that Umeed takes a break from school, heavy books, and the usual class routine. It was during that time she started penning down her thoughts and that is how she was able to write a complete book,” Hameeda adds. For Umeed the journey as a writer has just begun. She aspires to write more stories and books. “The kind of response I am receiving from the readers is overwhelming; it encourages me to write more. Sharing my world of imagination with others has really boosted my confidence and my belief in the medium of storytelling,” Umeed adds.